If you are the son or daughter of a loved one with Alzheimer’s, chances are you’ve already accumulated a good amount of information about the disease; what it is, who it affects, how is it contracted, and so on. And, given the abundance of studies (some more reputable than others), you may have also read stories of potential miracle “cures” for the disease. It is important to be able to separate truth from myth, especially as you embark on this challenging journey with your loved one. Well-meaning relatives and friends may be quick to offer various opinions and interpretations about something they recently read or heard about causes and cures for Alzheimer’s. That is why it is important to identify established resources you can trust. The Alzheimer’s Association has published many articles on Alzheimer’s and topics related to the disease. 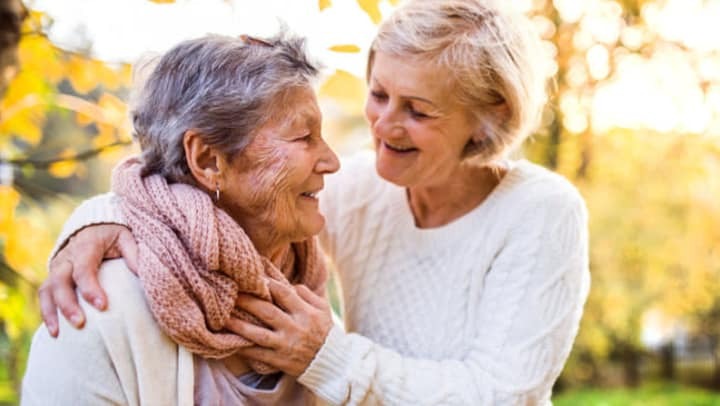 Here are 4 common misconceptions, taken from Alz.org as well as other trusted sources, that are important to understand and share with those around you. Alzheimer’s is a disease of the elderly. While it is true that Alzheimer’s disease is more common among those aged 65 or older, there are hundreds of thousands of cases of Alzheimer’s reported in people in their thirties, forties and fifties. Alzheimer’s can be caused by flu shots, silver fillings, aspartame, or aluminum (and this list may grow in time). Over the years, research has led to many unfounded reports which purport to link the exposure to various substances to the onset of Alzheimer’s disease. None have been proven. Alzheimer’s disease is not fatal. Unfortunately, Alzheimer’s is a fatal disease. It not only affects memory but is also a physically debilitating disease which ultimately destroys brain cells to the extent of loss of bodily functions. There are treatments available to slow or stop the progression of Alzheimer’s. Unfortunately, there is no medication or procedure that is proven to slow or stop the progression of Alzheimer’s. On the bright side, thanks to extensive research being conducted and growing support for finding a cure, we have great hope that we may one day be able to remove this item from the list. As you conduct your own research to better educate yourself about Alzheimer’s and understand its many challenges, make it a point to check in regularly with reliable, trusted sources, such as the Alzheimer’s Association. We are here to help too! Our team at Anthem Memory Care keeps on top of the latest advancements in the fight to end Alzheimer’s and other forms of dementia. We are happy to share our information and resources with you.